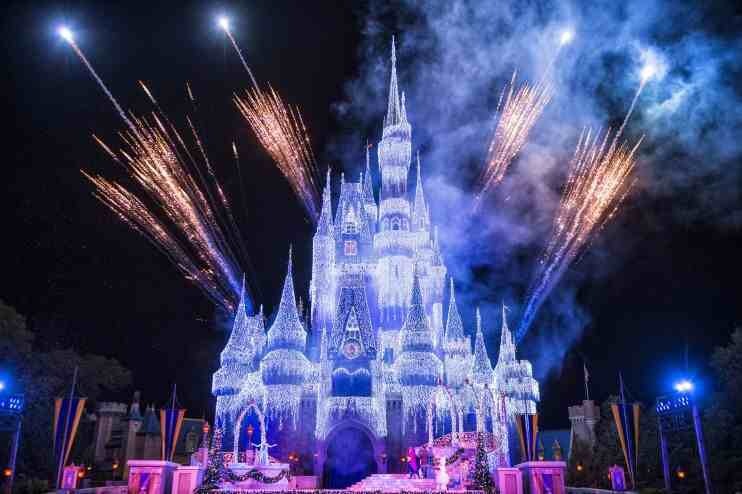 Queen Elsa from “Frozen” uses her incredible powers to transform Cinderella Castle into a glistening ice palace for the holidays. Joined on the Forecourt stage by Princess Anna, rugged mountain man Kristoff and Olaf, the summer-loving snowman, Elsa bestows this gift onto the people of Magic Kingdom with colorful snowflakes, fireworks and a special effects spectacle bathing the castle in 200,000 shimmering white lights. Magic Kingdom guests are treated nightly to the dramatic “A Frozen Holiday Wish” stage show.